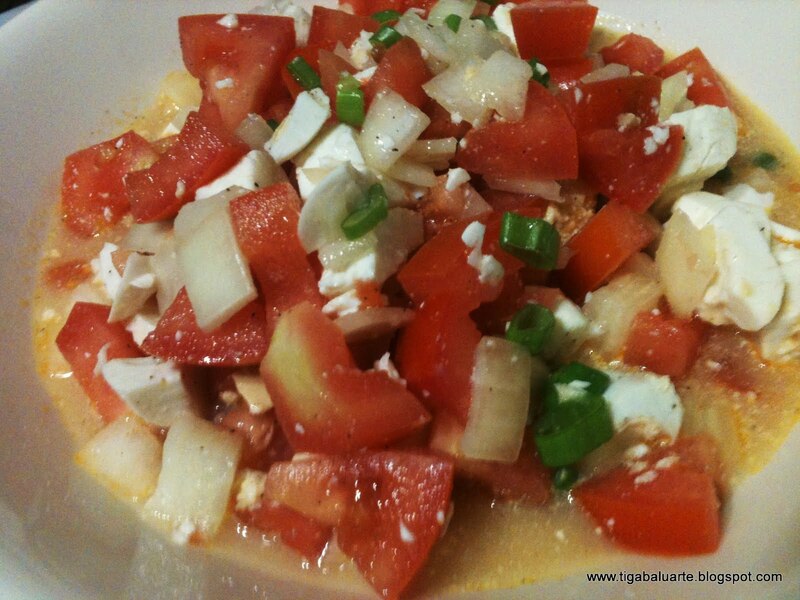 Cut 2 salted eggs, 1 pc tomato, 1/2 small onion into cubes and place in a bowl. Add 2 tablespoon coconut vinegar and a teaspoon white sugar. Mix and top with slices of green onion. Great as side dish. Enjoy! So salted eggs? Not something I usually have around. I"ll search for a good way of making them. Thanks!